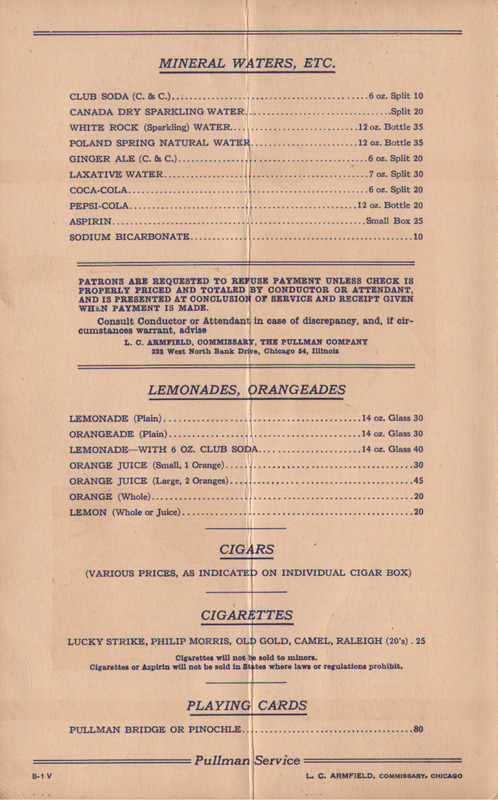 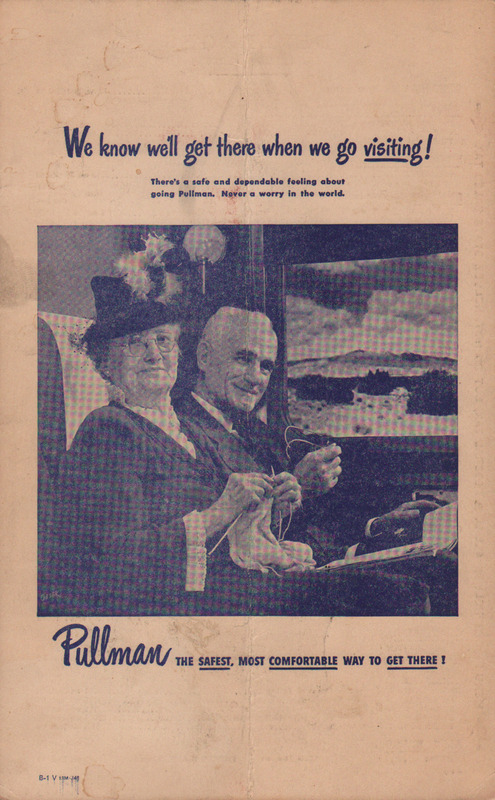 Description Another example of a Pullman Lounge or Club Car Service menu from 1948. Some condition issues with this item. 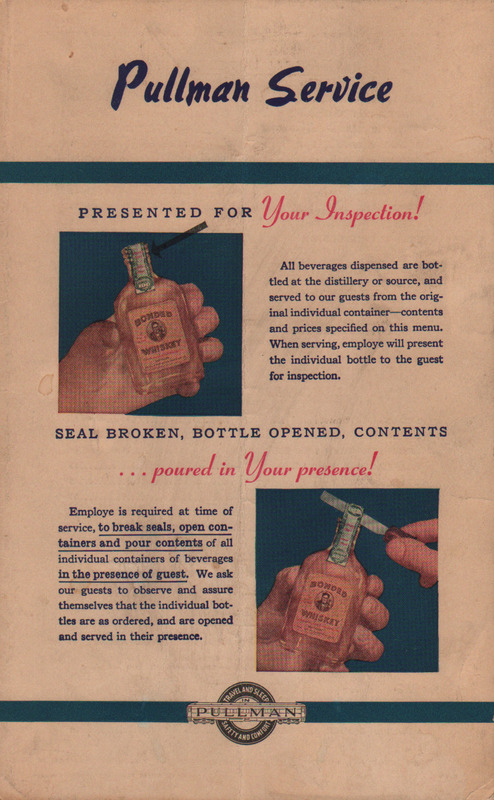 The 13M in the date code (B-1 V-13M-J48) translates to 13,000 copies printed. 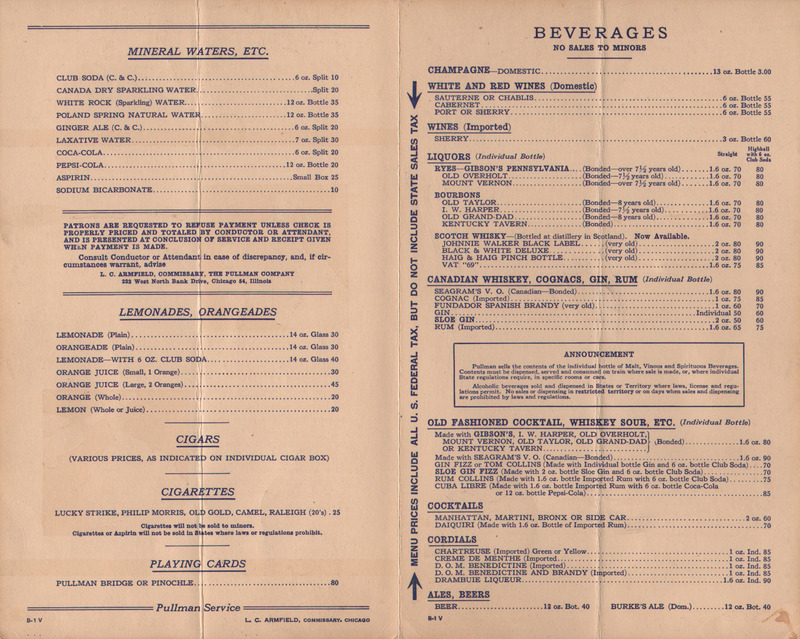 This means that this menu saw service on multiple railroads and many trains that carried Pullman cars. 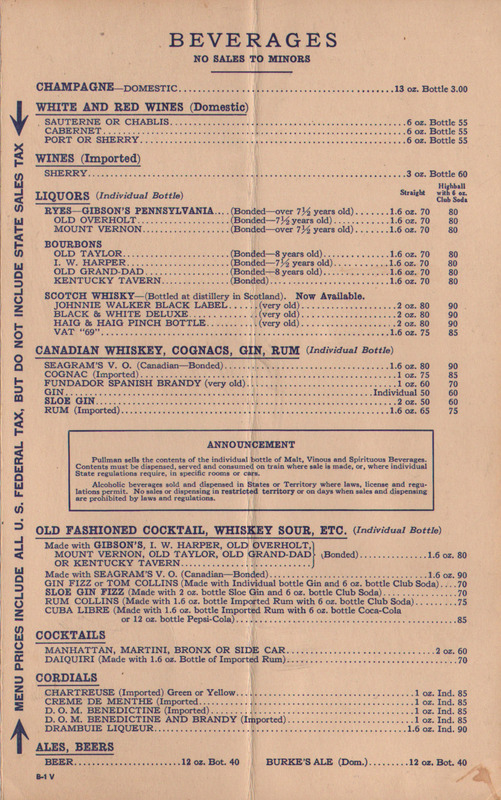 Many post war menus for Pullman and other railroads used this stock cover informing passengers that liquor will be served from individual bottles opened in front of the customer.